A site dedicated to revolvers for revolver enthusiasts! Revolvers reviews, gear testing, match recaps, and more! New posts on #wheelgunwednesday. I've now had a chance to enjoy two different six shot revolvers that load via moon clips: the Chiappa Rhino and the Smith & Wesson 325 Thunder Ranch. For anyone unfamiliar, moon clips are thin pieces of spring steel that hold ammunition in the pattern of a revolver's cylinder via the groove under the rim. 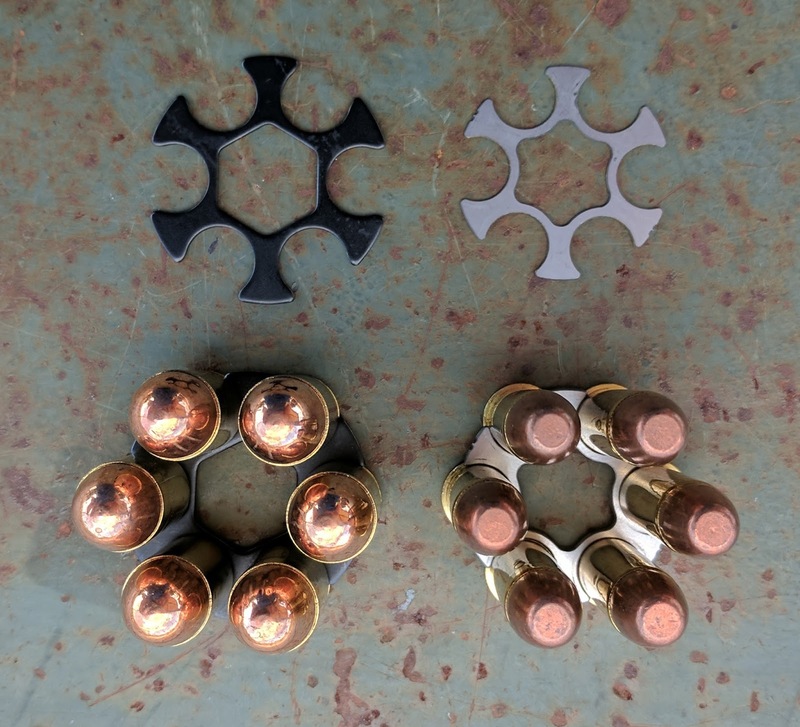 While speed loaders remain the primary method of loading rimmed cartridges in revolvers, moon clips are also available for this type of ammunition. As the majority of cartridges for auto-loading handguns are semi-rimless or rimless, the addition of these clips allows manufacturers to chamber revolvers in auto calibers. These clips prevent rimless cartridges from sliding into the charge holes, as the clip rests on the extractor star. All it took was a bit of machine work to the face of the cylinder and extractor so the moon sets deep enough to prevent binding of the cylinder. I'd like to compare two six shot moon clips in two popular calibers: .38 Special and .45 ACP. There are two features of each round that need to be examined when comparing the two moon clip systems: cartridge dimensions and cartridge weight. Hopefully this helps you determine if moon clips are something you might be interested in using in your wheel guns! Why use moon clips with rimless cartridges? Well...you kinda have to for the revolver to function correctly. I guess that isn't technically true all the time (sometimes rounds will head-space correctly) but it sure is hard to get those cases out because the extractor has nothing to catch when you push the ejector rod. Moons make loading and unloading a breeze, especially with comparatively shorter cartridges designed for use in auto-loading handguns. Auto-loaders usually require shorter length cartridges to promote more reliable functioning. A shorter and heavier cartridge goes in and comes out much faster than a longer one. Why use moon clips with rimmed cartridges? Is there any advantage to using moon clips over speed loaders with rimmed cartridges? Well, I guess what depends on the intended use of the revolver. From a durability perspective, moons are fragile due to the thin metal construction. If they are bent, then there is a chance the cylinder might bind preventing operation. A quality speed loader is usually well constructed and holds rounds in place until released by the user. .45 ACP on the left and .38 Special on the right. 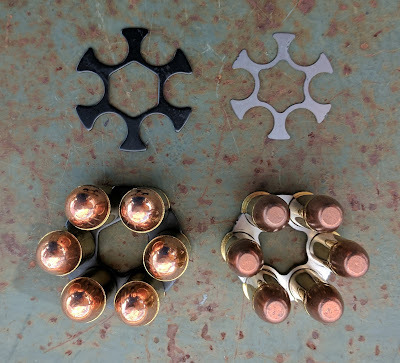 Before addressing both moon clip configurations, I wanted to show the size difference between a moon clip that is designed for six .38 Special cartridges and six .45 ACP cartridges. The Chiapp Rhino cylinder is roughly the same size as a Smith & Wesson K frame (medium frame). The S&W 325 TR is a Smith & Wesson N frame (large frame). The diameter of the .45 moon is significantly wider than the .38 moon. Which system will be better? Let's find out! The .45 ACP is a relatively short and wide round which makes it perfect for speedy reloads in cylinders with equally short and wide chambers. The 11.5mm profile of the .45 bullet assists in feeding the full moon into the cylinder should the shooter fail to perfectly align all six rounds. Compared with the 9.07mm diameter of a .38 bullet, the margin for error is a bit lower due to the increased width. With six rounds locked into the clip, the .45 moons basically drop right in provided that the shooter is relatively close in case alignment. The cartridge almost feels like it was meant to be loaded into a revolver like this. Unfortunately, that wider bullet profile means a heavier overall weight. This may help load the rounds a bit faster but that comes with a price: increased weight on the belt and in the cylinder. In many competitive leagues, stages will require several reloads. 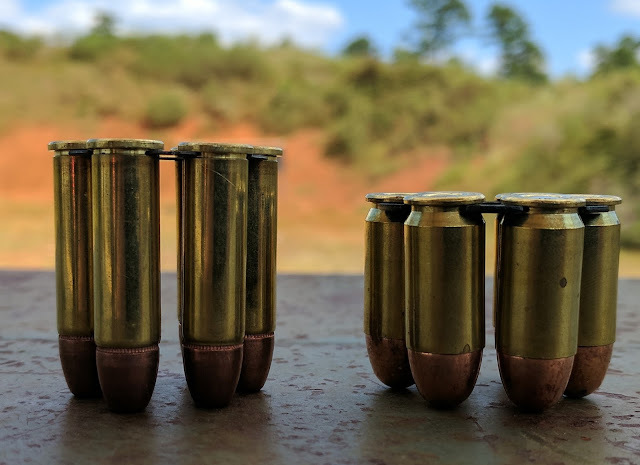 If the rounds are approximately 100 grains more per bullet, you can imagine how much more total weight you will carry when moving through a stage. Over the course of a match this will start to add up whether you realize it at the time or not. It may still be worth it considering those fast reloads. The weight of a factory .45 ACP projectile often hovers near 230 grains while the weight of a .38 special bullet is between 115 an 158 grains. The heavier weight of the bullet might help the .45s feed a bit quicker, but a full .45 moon feels like a brick in hand compared to a .38 moon. In my testing, the 130 grain .38s were a full 100 grains lighter than the .45 ACP bullet. While this may not seem like much, when you are carrying 6-8 moon clips each stage, it adds up quickly. So the same number of .38 rounds can be carried for a lot less weight than the .45s. Another aspect of reloading with moon clips involves the length of the case. The overall length and bullet diameter both play significant roles in the speed of reloads. In my experience, the .38s don't seem to go in to the cylinder as easily as the .45s. The case is just a bit longer so it takes more time to feed and eject. I think the size of the bullet might play a bigger role. The 9.07mm diameter of the .38 is nearly 2.5mm less than the 11.5mm diameter of the .45. It might not seem like much, but a smaller hole is a smaller target. This lower speed may also be related to the fit of this Remington .38 special brass to Chiappa's moon clip thickness. I think a slightly thicker moon, maybe from a company like TK Custom, would hold the rounds more securely with less wobble. So which caliber is better for a six shot moon clip? It depends on how the revolver is being used. For range and competition, moon clips are the clear choice. They load much faster than speed loaders and keep all your brass together for easy clean up. For concealed carry or defensive use, a combination of moon and speed loader might be best for self protection. 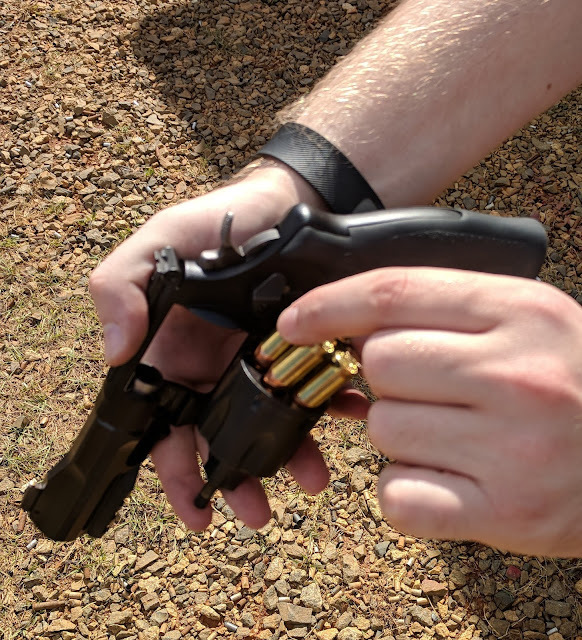 A loaded moon clip can be carried in the revolver to ensure complete extraction of spent rounds and a speed loader securely holds the rounds in place, should a reload be necessary. After practicing with both types of moon clips, I prefer moon clips with shorter cartridges because they load and unload faster. I'd be interested to see how a six shot 9mm moon clip compares to the six shot .45 ACP. Both are short so I imagine both would be equally quick to load. I mentioned the brass to moon fit earlier with regard to the .38s. The slight wobble of the rounds due to a looser fit made reloads a bit more challenging. To reduce this problem, the brass should be fit to a properly sized moon to ensure that rounds are held tightly enough to quickly load into the cylinder. Unfortunately, not every revolver is cut for moon clips from the factory. 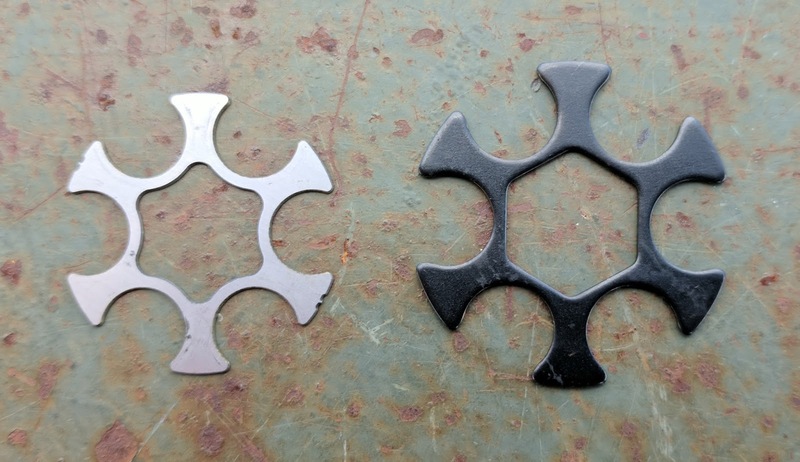 There are companies that can machine parts and produce correctly sized moon clips should you decide that your current wheel gun needs an upgrade. 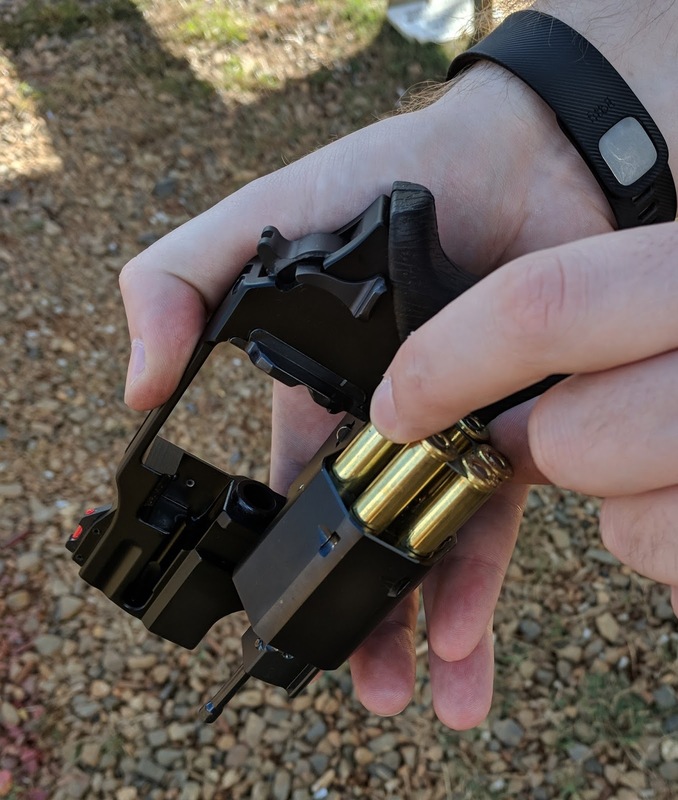 It is relatively inexpensive, normally between $100 and $150, and offers an additional way to load your revolver aside from traditional moon clips. I have considered sending the cylinder assembly of my S&W Model 66 but just haven't committed to the modification. I might go for it soon! As always, if you have any suggestions for future posts or would like to share your experience on the current topic please post below! Hey, this is truly incredibly fantastic and informative website. Very good article to find your site! I'm just in love with it. Smith & Wesson 929: Race Ready!